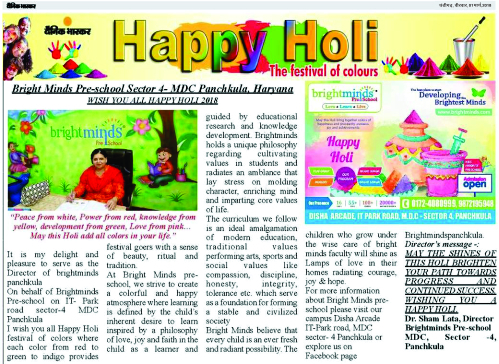 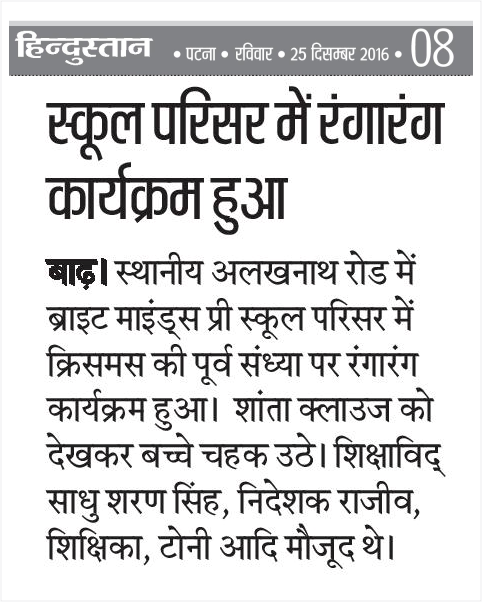 Bright Minds Preschool Panchkula Ad in Panchkula Bhaskar. 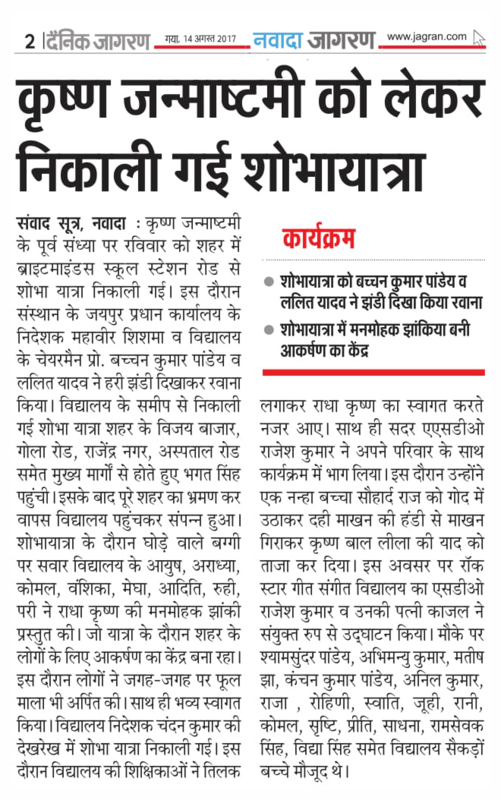 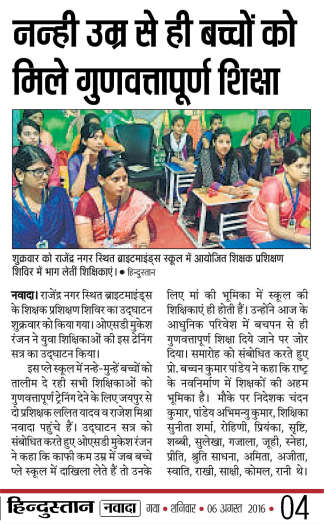 Foundation Day Celebration News published on Rajasthan Patrika on 14th, November 2017. 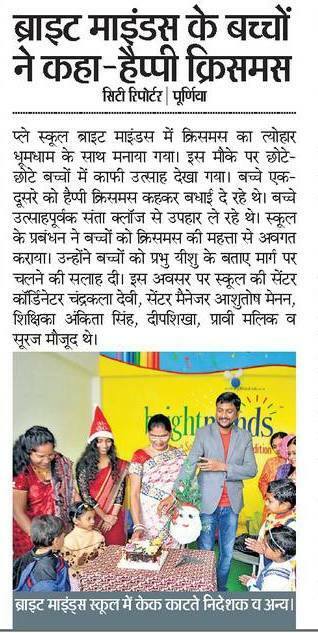 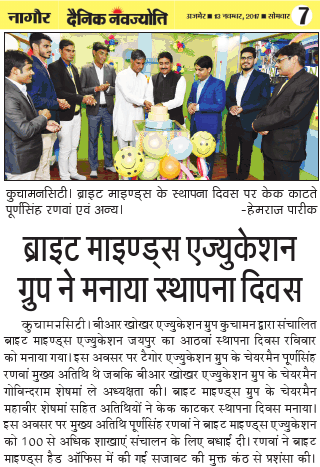 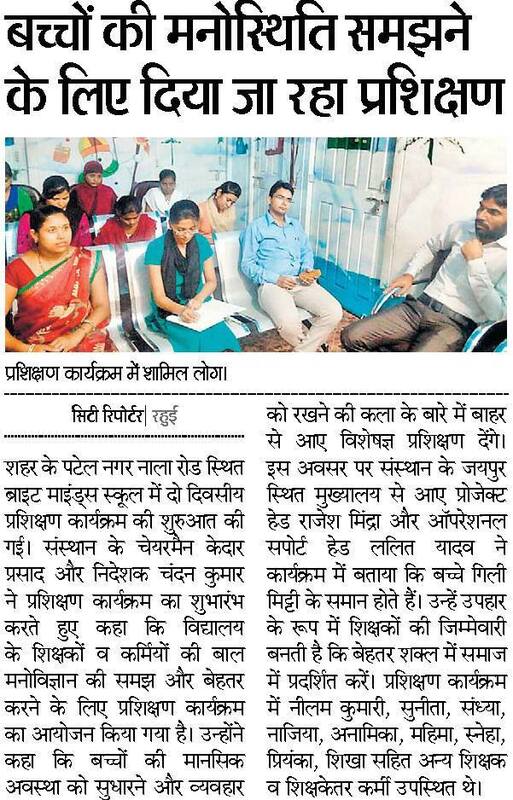 News published on 13th November for Foundation day Celebration at Corporate Office Jaipur. 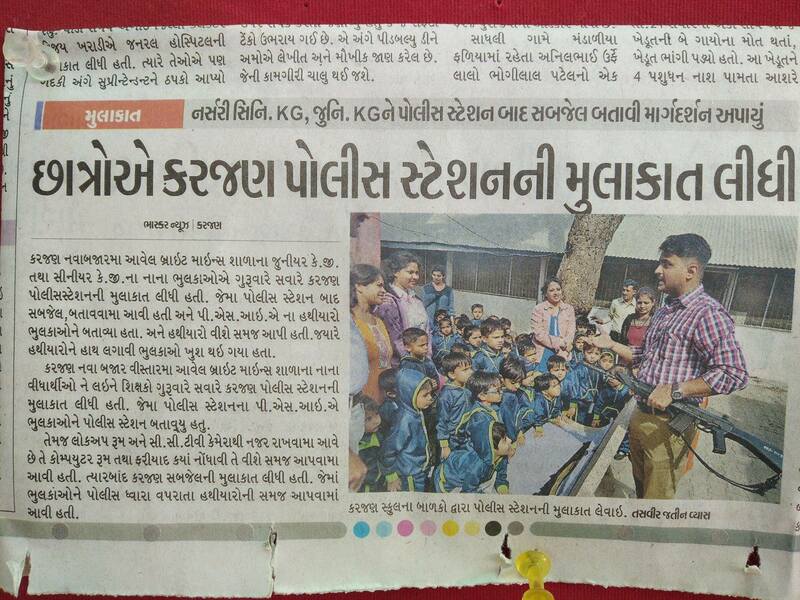 Bright Minds Maanya Preschool Sagar Celebrated Independence Day with tiny tots and also teach them about the patriotism. 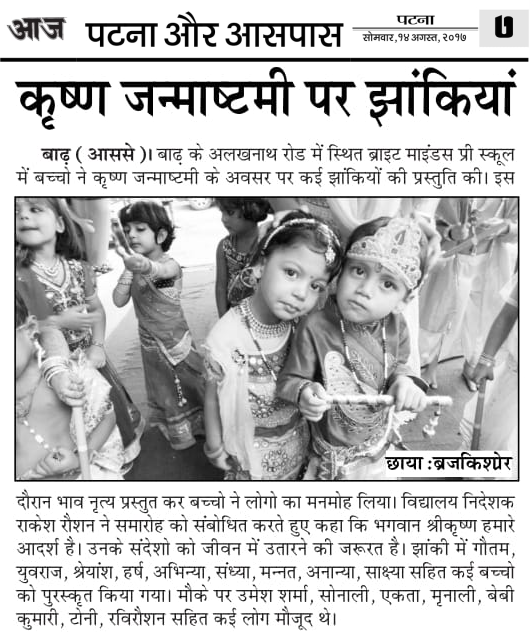 Bright Minds Preschool Nawada celebrated Krishna Janmashtami. 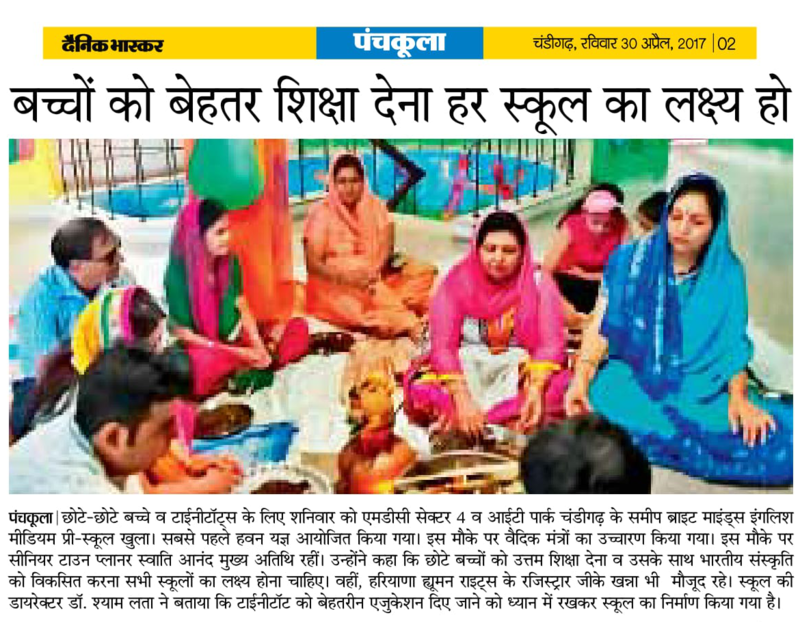 Bright Minds Preschool, Nawada celebrated Janmashtami. 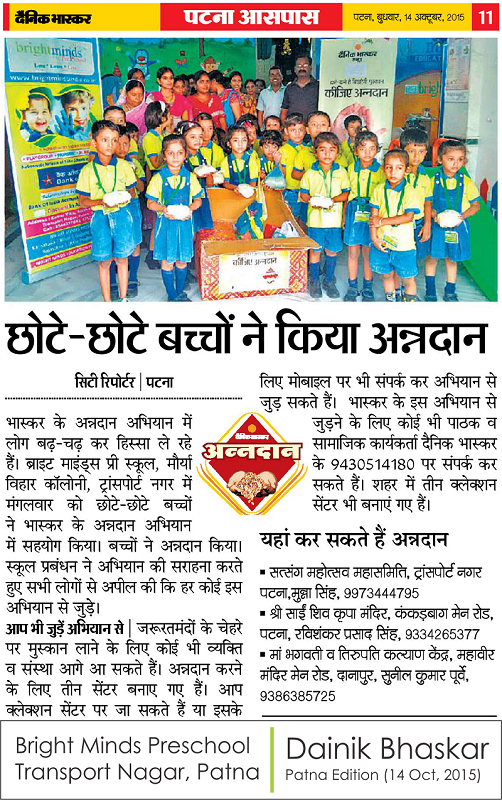 Kids enjoyed by showing their creativity. 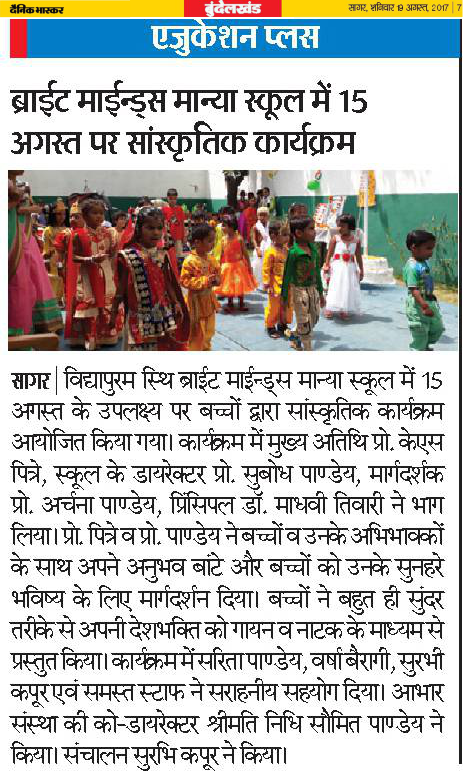 Bright Minds Preschool, Barh celebrated Krishna Janmashtami with small kids. 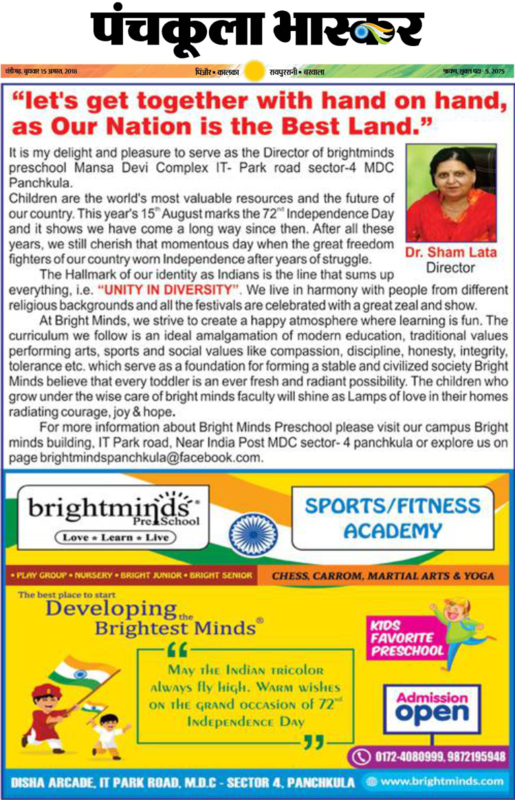 Bright Minds Preschool, Panchkula celebrated Independence Day. 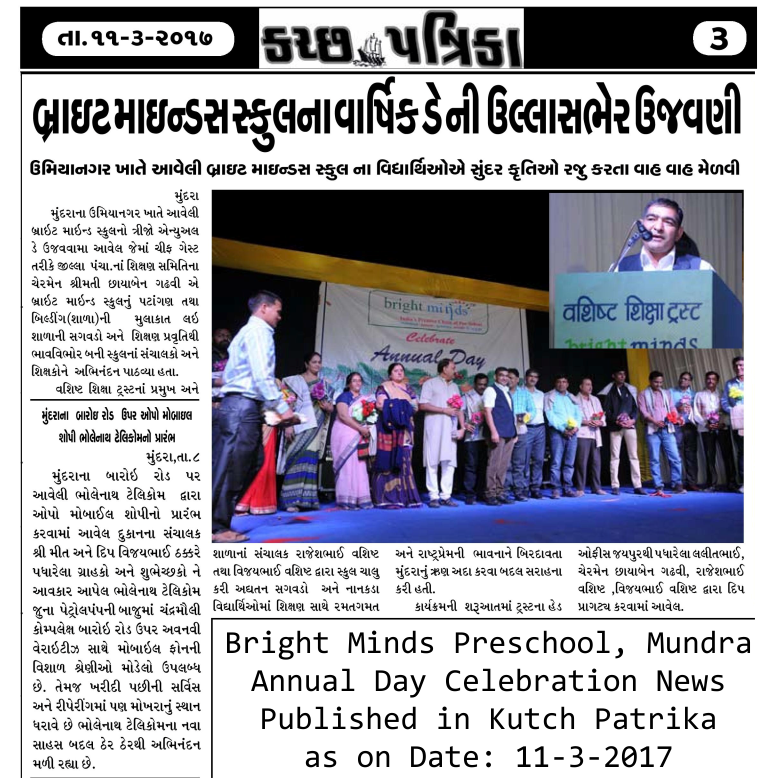 Bright Minds School, Mundra celebrated annual day. 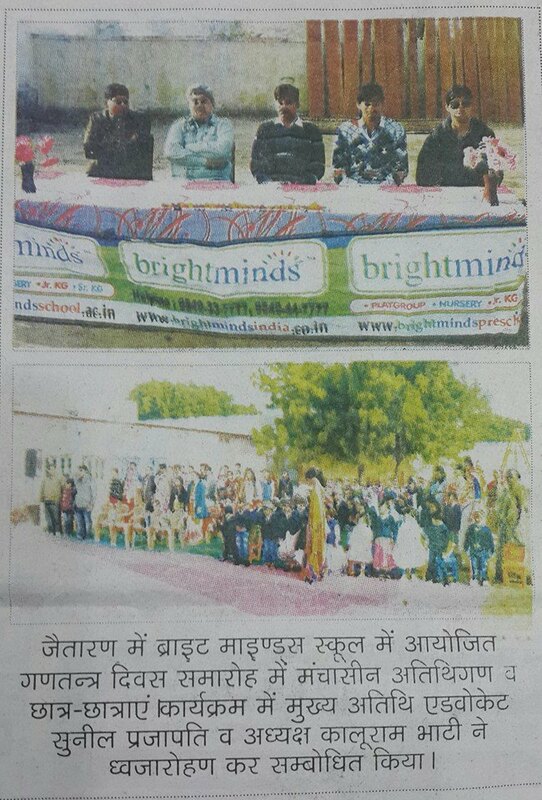 Bright Minds Preschool Nawada Annual Function Celebration. 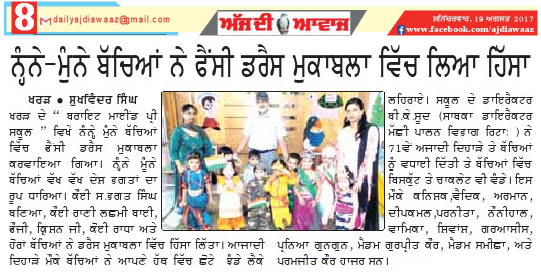 Bright Minds Preschool, Karjan Kids visited Police Station and know about their duities. 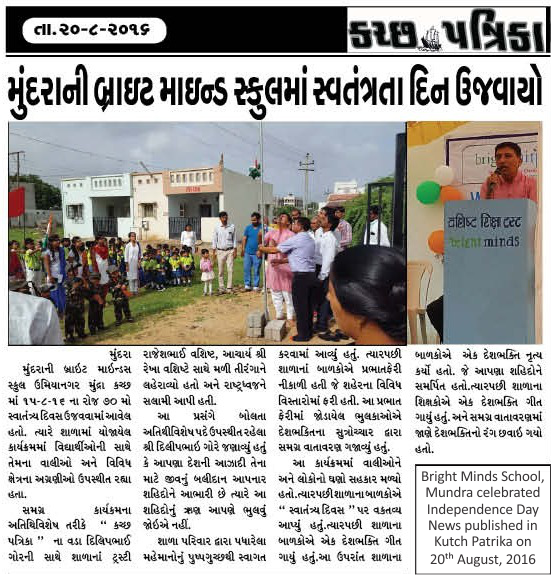 Bright Minds School, Mundra Celebrated Independence day. 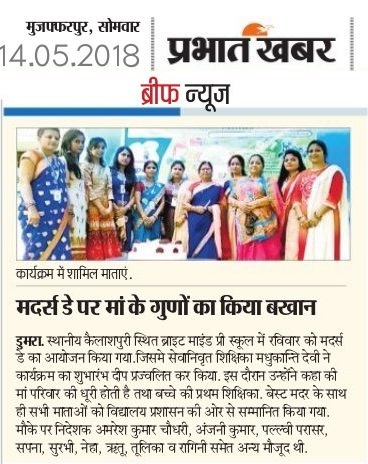 Teacher Training Session organised in Bright Minds Preschool Biharsharif. 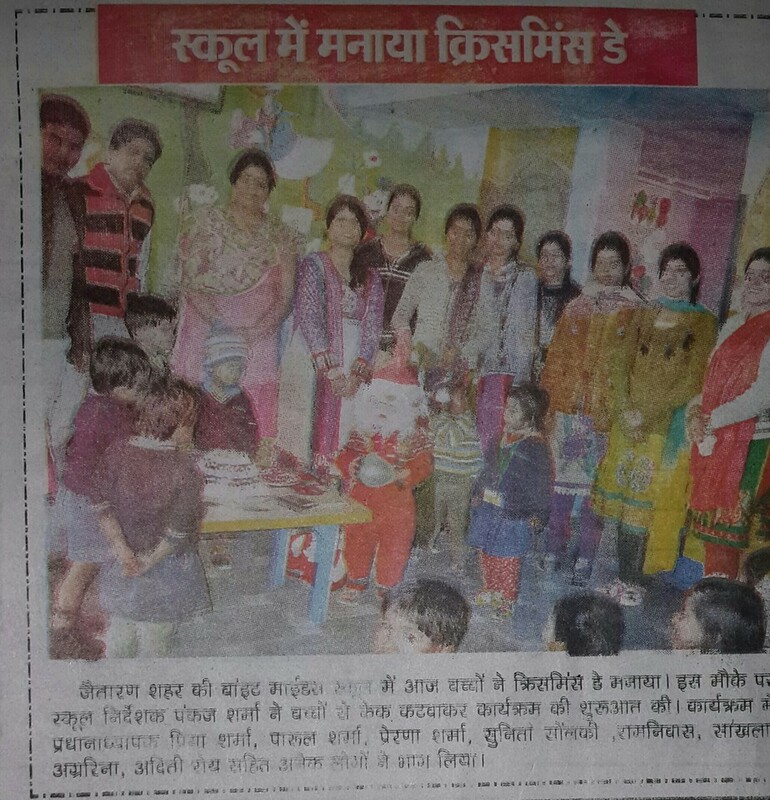 Bright Minds Preschool Nawada Teacher Training Session. 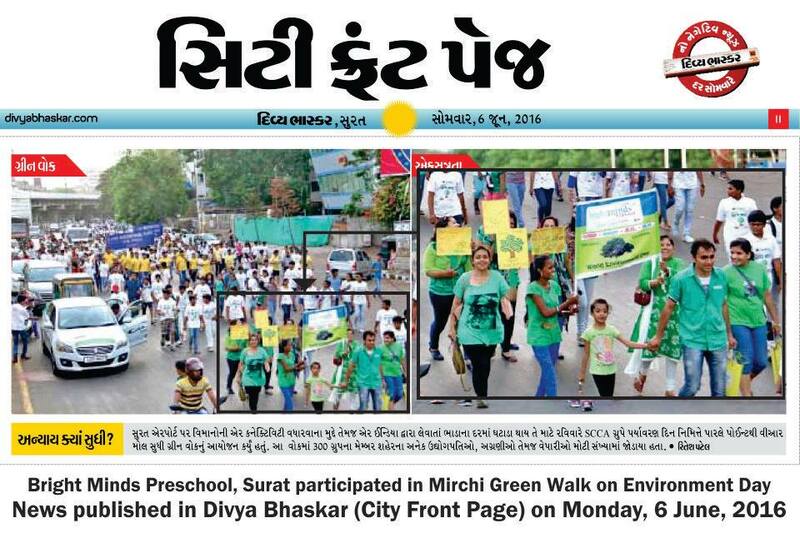 Environment Day Celebration in Bright Minds Preschool Surat. 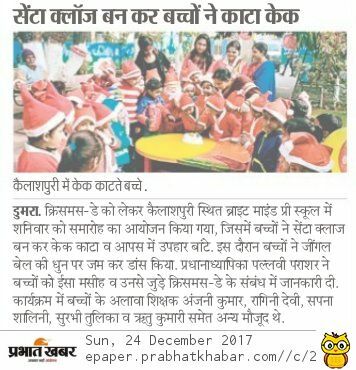 Kids enjoy christmas celebration in Bright Minds Preschool, Purnea. 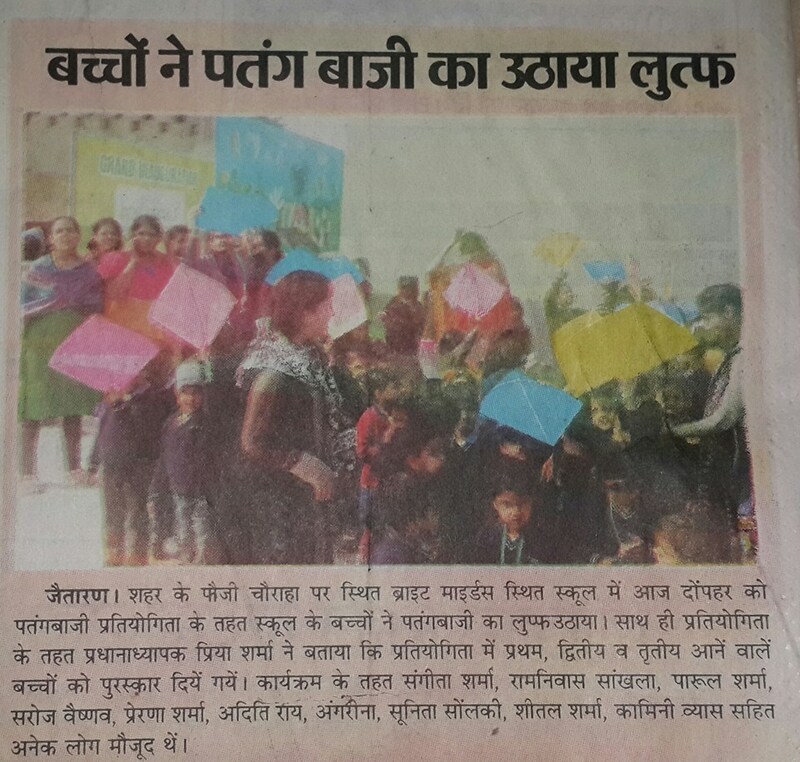 Kids enjoyed kiting in Bright Minds School Jaitaran along with teachers.